Colombo: Arjun Tendulkar, son of arguably one of the greatest batsmen some of whose unique records are tipped to live down the ages, made his much-anticipated international debut on Tuesday on a ground identified by its unique name. Sachin Tendulkar's 18-year-old son announced his arrival in the international arena with a wicket in his first 12 balls for India U-19, and the significance of the game was not lost on the cricket fraternity. 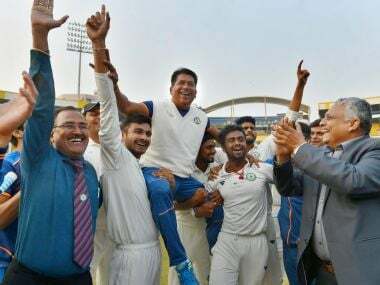 The focus was on Arjun's debut as India's U-19 team dominated its counterparts from Sri Lanka on the opening day of the first Youth Test at the Nondescripts Cricket Club Ground. Tendulkar junior, whose father made his senior India debut at the age of 16 back in 1989, needed only 12 balls to claim his maiden wicket, trapping Sri Lanka U-19 opener Kamil Mishara. Arjun who started the proceedings with the ball for India U19, took the wicket in his second over after trapping Mishara in front of the stumps. Left-arm pacer Tendulkar bowled an inswinging length delivery and the left-handed Mishra failed to read the line of the ball and got out for 9. 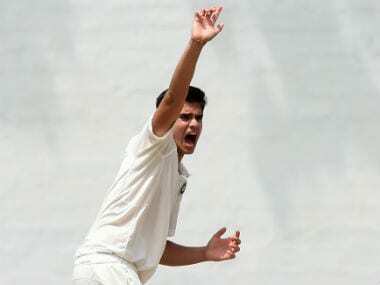 The India U19 side then rode on four-wicket hauls from Harsh Tyagi and Ayush Badoni to wrap up Sri Lanka's first innings for 244. 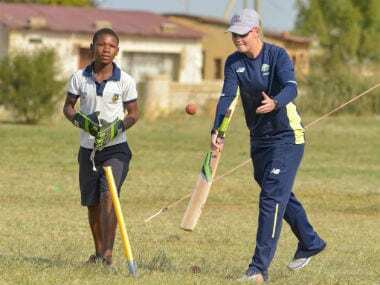 Unlike his legendary father, who was widely regarded as one of the best batsmen of all time, the 18-year-old Arjun is a left-arm pacer and a handy lower-order batsman. He was part of Mumbai's Under-19 squad in the Cooch Behar Trophy last season where he picked up two five-wicket hauls and a four-wicket haul. He returned with 18 wickets overall with an average of 25.22 for Mumbai. 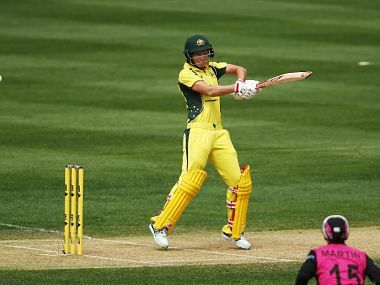 Both his five-wicket hauls included the wickets of the opposition's top four batsmen. Arjun's all-round abilities also caught the eye during Cricket Club of India's (CCI) tour to Australia in 2017, where his presence in the tournament attracted quite a bit of media attention. Arjun didn't strike again in the innings and returned with figures of 1/33 in 11 overs. For the Lankans, Pasindu Sooriyabandara top-scored with 69, while Nishan Madushka, Nipun Dananjaya and ST Mendis got out for identical scores of 39. At stumps on the first day, India U-19 were strongly placed at 92 for one. After watching Arjun taking his maiden scalp in international cricket, former India cricketer and Sachin Tendulkar's childhood friend Vinod Kambli took to Twitter and posted an emotional message. India are scheduled to play two Youth Test matches and five ODIs. The second Youth Test will begin from 24 July in Hambantota while the ODIs begin from 30 July in Colombo and will be played till 10 August.